Moving Home? New Home Not Ready? Escape the Chain? Declutter? 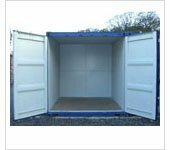 Do you need temporary , worry free storage units for you furniture and house contents between homes? 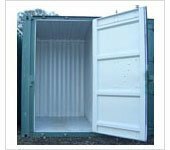 Our clean, dry and secure furniture storage units are ideal for storing your home contents including all your furniture and clothes, washing machine and fridge, garden furniture, seasonal and hobby items; in fact almost anything. To help you get the most from your storage unit, we have compiled some useful hints and tips for storing your home contents which can be found on the self storage tips page. You drive your car or van to our furniture storage unit door to deliver or collect your effects so there is no double handling on and off trolleys, and no lifts or corridors to negotiate. Our furniture storage units are 37.5, 75, 150 and 300 square feet, see storage prices and unit sizes for internal unit dimensions and cubic capacities. Our most popular 150 square feet units easily take the contents of an average 3 bedroom house. We supply high security locks with our furniture storage units and you are the only key holder to your own individual unit. You can visit your unit free of charge, as often as you need to deliver, collect or check on your property 365 days per year, from 4.30 am to 9.30 pm at our West Bromwich facility or to 11.00 pm at our Aldridge facility. You are usually able to rent our furniture storage units immediately following the completion of our simple Rental Agreement at our reception offices, but please phone to check availability. Our minimum storage period is one week with discounts available for four weeks rental and over. We can arrange insurance of your goods. We have a wide selection of packaging items for sale including heavy duty cardboard boxes, bubble wrap, coversheets, etc. see removal packing page. Domestic uses of our furniture storage facilities typically include storage of household contents during a home move, decorating and renovating, or whilst letting your property and freeing up the space in your garage or loft, etc. See more self storage solutions. For an excellent, friendly service contact our staff who are very welcoming and are happy to advise with your storage needs. 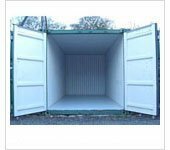 We provide domestic storage for Birmingham, Wolverhampton, Walsall, West Bromwich, Sutton Coldfield, Aldridge, Brownhills, Oldbury, Darlaston, Dudley, Smethwick, Tipton, Wednesbury, Wednesfield, Willenhall and surrounding areas in the West Midlands.